MOST REV. ROMULO VALLES, DD THE ARCHBISHOP OF DAVAO, ELECTED PRESIDENT OF CBCP! 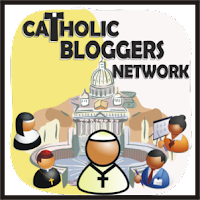 A son of Maribojoc, Bohol and the Archbishop of Davao is named as the new President of the Catholic Bishops Conference of the Philippines (CBCP), Most Rev. Romulo Valles, DD. Let us pray for him!!! MAY THE LORD GRANT HIM WISDOM AND FORTITUDE OF THE SPIRIT TO GUIDE OUR PEOPLE TO TRUTH, PEACE AND JUSTICE. GOD BLESS OUR NEW CBCP PRESIDENT AND OTHER ELECTED OFFICERS.